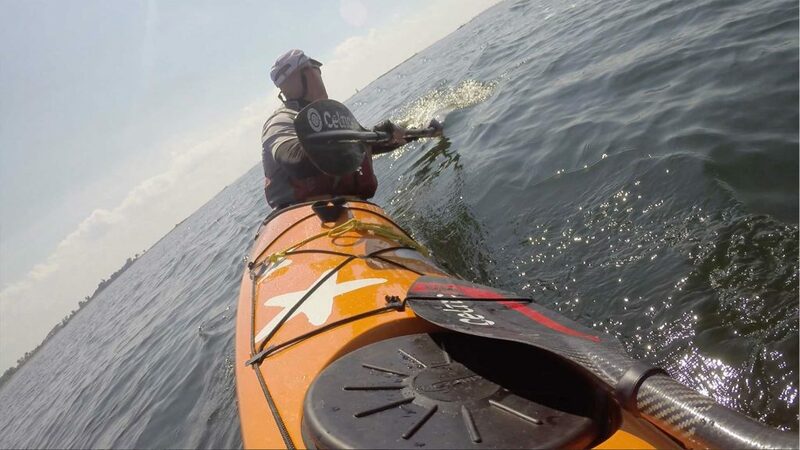 Discover how to unlock the hidden potential within a sea kayak. This class is best suited for those who have a good understanding of kayak propulsion and can execute the fundamental strokes and maneuvers taught in our Introduction to Sea Kayaking class. This three-hour course focuses on edging, leaning, and improving overall boat control. Strokes and maneuvers that will be taught include edging, J-leans, J-lean turns, high and low braces, high and low brace turns, bow rudders, hanging draws, and stern rudders. We will also work on the forward sweep, reverse sweep, and draw strokes with a deep and consistent edge. Finally, we will learn how to unlock the stern for more precise backwards paddling and will practice carving tight reverse figure eights. – All equipment is included, however, using a sea kayak and a paddle that you are familiar with is encouraged. 2. US-7N will end at a signal. Turn right at the signal onto Grist Mill Road. 3. After .2 miles, Grist Mill road will end at a signal. Turn left at the signal onto Danbury Road. 4. Drive 1.6 miles on Danbury Road. The access road to the pond will be on the left between the electrical sub-station and Rings End Lumber. 5. Drive through the gate and down the gravel road. Once in the clearing, please park to one side of the clearing.